Jimmy Butler has his wish: He’s out of Minnesota. And just like that, Philadelphia has a new Big Three — one that could make serious noise in the Eastern Conference. A person with knowledge of the situation said Saturday that Butler is being traded to the 76ers in a package that will send Dario Saric and Robert Covington to the Timberwolves. The person spoke to The Associated Press on condition of anonymity because the trade had not yet been announced by either team and was still pending NBA approval, which might not come until Monday. Justin Patton will also be sent to Philadelphia, and Jarryd Bayless and a 2022 second-round pick are also going to Minnesota, the person said. The Athletic first reported the agreement. Philadelphia's "Process" led it to the second round of the playoffs last season behind two of the game's youngest, brightest stars in big man Joel Embiid and point guard Ben Simmons. Butler, an elite wing and outstanding defender, will join them in a quest to rule the Eastern Conference now that LeBron James has left that league to join the Los Angeles Lakers following eight straight trips to the NBA Finals with Miami and Cleveland. The first order of business will be making the trade official, something that could come in time to get Butler in uniform for a game at Miami on Monday. The next step for Philadelphia will be coming to an agreement on an extension for Butler, a pending free agent who made clear to Minnesota that he would not be re-signing there in 2019. Translated: The Wolves had to trade him, or they would lose him for nothing over the summer. 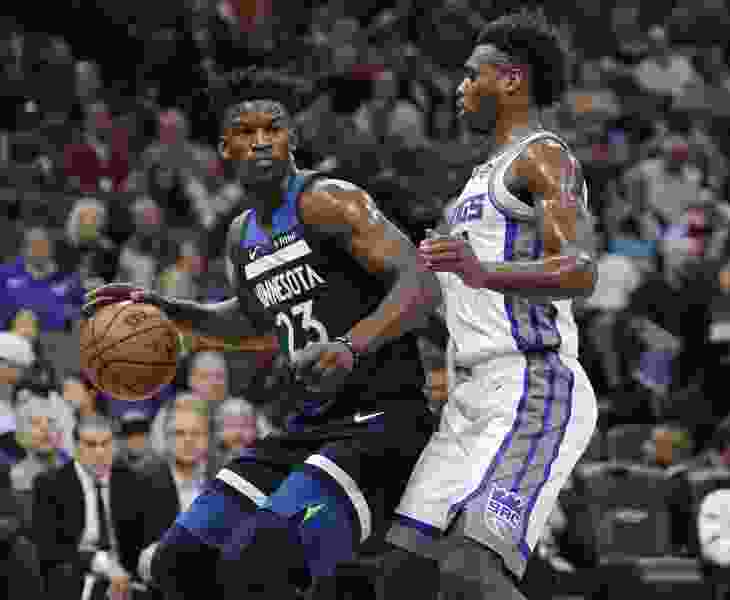 Butler has been miserable in Minnesota, and the Timberwolves have gotten off to a lousy start waiting for this inevitable move to happen. Minnesota just finished an 0-5 road trip with a loss in Sacramento on Friday night and is 4-9 overall — winless in eight games on the road. Butler played in 10 of those games, averaging 21.3 points. It was a peculiar arrangement; the Timberwolves were still running things through him often, even while the worst-kept secret in the NBA was that he wanted a change of address. Plenty of teams were mentioned along the way — Houston, the Los Angeles Clippers, Miami among them — as top candidates. Butler, who turned 29 on Sept. 14, has been an All-Star in each of the last four seasons. There are also concerns, though they clearly didn't put off Philadelphia. Butler has missed at least 15 games in four of the last five seasons, including a career-high 23 games last year while dealing with a knee injury. Philadelphia will become Butler’s third team, after Chicago and Minnesota. He’s a career 16.5 point-per-game scorer, though that is skewed by his first two seasons that were very meager on the scoring front. He’s on pace this season to average at least 20 points for the fifth consecutive year.